hit 100,000 paying users since launching late last year. Revealing the figures from its second quarter results, News Corp Australia's SVOD and pay-TV services, as well as REA Group, proved to be significant financial boosters for the business, as it continued to struggle with print and ad revenue. Globally, News Corp has reported a total revenue increase of 21% from US $2.18 billion to US $2.63 billion. The growth reflects the impact from the consolidation of Foxtel’s results following the combination of Foxtel and Fox Sports into a new company, now known as just Foxtel. 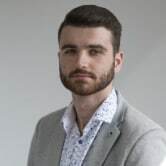 The business was also boosted by strong performances in book publsihing and digital real estate services including REA and Flatmates in Australia, however, this was partially offset by lower print advertising revenues at the news and Information services. "At News and Information Services, we saw a continuation of positive trends in paid digital subscriptions, including accelerating gains at The Wall Street Journal, and stronger digital advertising revenues in both the U.S. and Australia," News Corp CEO Robert Thomson said. A stand out area of the business for News was Australia's SVOD and pay-TV services, which saw Foxtel’s total closing subscribers reach approximately 2.9 million, which was higher than the prior year, due to Foxtel Now subscriber growth, the inclusion of commercial subscribers of Fox Sports Australia and the launch of Kayo Sports. This growth was partially offset by lower broadcast or 'traditional' Foxtel subscribers. 2.5 million of the total closing subscribers were broadcast and commercial subscribers, and the remainder consisted of Foxtel Now and Kayo Sports subscribers. As of 5 February there were 115,000 Kayo Sports subscribers, of which approximately 100,000 were paying subscribers. 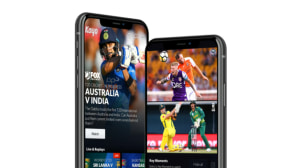 Lauching in November last year, Kayo Sports acts as an alternative subscription services from 'traditional' Foxtel, giving users access to the network's premium sporting channels and content, including Fox Sports, Fox Cricket and international sports broadcasters such as ESPN. Havas was appointed to the service's creative and media accounts, with Kayo launching a major brand push over summer, with PR stunts including a giant blimp promotion and a floating game of gridiron in Sydney Harbour. Broadcast subscriber churn in the quarter was 15.6% compared to 14.5% in the prior year, reflecting the impact of the price increase implemented in October. Broadcast average revenue per user for the quarter declined 3% compared to the prior year to AU $78. "We launched Kayo Sports, a sports-only OTT product, to positive reviews, and we look forward, with confidence, to the peak selling season for the most popular winter sports in Australia," Thomson said. Subscription segment earnings before interest, tax, depreciation and amortisation (EBITDA) in the quarter decreased $71 million, or 46%, compared with the prior year, primarily due to the lower revenues, planned increases in programming costs related to Cricket Australia and National Rugby League rights, higher production costs related to the new Fox Cricket channel and higher marketing costs primarily related to the launch of Kayo Sports. Revenues in the quarter for news services, including print mastheads decreased US $41 million, or 3%, as compared to the prior year, while News Corp Australia revenues declined by 5%. Global advertising revenues declined 5% compared to the prior year, 2% of which was pinned on the negative impact from foreign currency fluctuations. The remainder of the decline was driven by weakness in the print advertising market and lower revenues at News America Marketing. Closing digital subscribers at News Corp Australia’s mastheads as of December 31, 2018 were 460,300, compared to 389,600 in the prior year. Globally, the news and information services division decreased $21 million in the quarter, or 15%, as compared to the prior year, primarily due to lower contribution from News UK, mainly driven by lower revenues and higher newsprint and digital reinvestment costs. The decline was partially offset by higher contribution from News Corp Australia and Dow Jones. REA Australia's revenue for the quarter grew 15% to $443.2m for the half, driven by an increase in revenue from the residential business of 16% to $302.0m and the inclusion Hometrack, a property risk and services business. The result was delivered in unfavourable market conditions with national listings decreasing 3%, with the growth reflective of pricing changes on the site, which took effect in July 2018. Media, data and other revenue increased 19% to $55.4m due to the inclusion of Hometrack coupled with greater display advertising from developers arising from longer project durations. Media revenue was lower as a result of reduced advertising spend in key segments and lower inventory as premiere listings increased. Hometrack, which was acquired in June 2018, remains on track to deliver the previous FY19 revenue guidance of between $14m - $16m and EBITDA of between $6m - $7m. Tighter lending conditions and the uncertainty from the Financial Services Royal Commission on broker recruitment resulted in flat underlying revenue growth in the Financial Services business. These conditions are likely to continue for the remainder of the financial year further reducing settlement volumes and impacting revenue growth in the second half. According to Nielsen content ratings, average monthly visits to realestate.com.au are over 2.8 times more than its nearest competitor, while spend more than 5.0 times longer on the realestate.com.au app compared to the nearest competitor. “This is an exceptional start to the year and I’m pleased with the strong growth we have delivered, despite the tough conditions we faced in the Australian market," REA Group CEO Owen Wilson said. News Corp has revealed its newest dedicated sports subscription video on demand (SVOD) service Kayo has already hit 100,000 paying users since launching late last year.